Melody May Be A Learned Response? Greetings. Vis a vis how music is getting worse—I’m a prof at Syr. Univ (Earth Sciences) but also lately, a solo jazz guitarist who plays chord-melody style out of the American Songbook at coffee houses. I find the response of young people (I’m 68) to my music interesting. Many think I composed classic pieces by Gershwin and Porter, since they never heard them (Even “Summertime”). Were it so true, but to be honest, I never heard much of my father’s music until getting to know the Songbook either. Most kids, however, seem to enjoy melody, although they can’t quite understand it. Many tell me it calms them. I played Berlin’s “What’ll I Do” at the library at an event and saw tears in the eyes of several coeds–and I don’t sing. The melody did it. But to your points, a friend who teaches music theory tell me many kids can’t even compose a melodic line because they have never sufficiently heard it before, which makes me think that understanding melody may be a learned response, much like language? Language is a learned response in the sense that the language you learn must be learned. But that you learn a language isn’t itself taught or a learned response. Language ability is innate. Even the least intelligent men can speak. What they speak is learned, and what they don’t speak isn’t learned. Music is also human, but is it like language? Is the ability innate? I’d guess it was, only because music is ubiquitous—Peter Kreeft is fond of reminding us that Tolkien’s angels/elves sung the universe into existence—but I’m not intelligent enough on the subject to say, so let’s open it up to readers. Polyphonic music, with its intricate melodies, is a recent creation (and a triumph of the West). Even though music is is fallen from its height, and becoming cruder (in the cultural and mathematical sense), there is still some shred of melody, albeit not much. We haven’t reached the point where nothing but drum beats and guttural chants are heard (in every public space in the land), but we’re close. It’s a fallacy because there is nothing precluding a multi-generational downward trend—which is indeed what we see. So drum solos don’t count as music? They are mostly rhythm (yes, drums have pitches). So what happens during these times? The band stops playing music and the drummer indulges in Performance Art? Or is the drummer playing music? Percussion can be music, or it can be just noise. If drum. Eats are all that remains, is that music? Conceivably… but probably not. I don’t think rap and hip hop are supposed to be music. They are more like a war-cry against society. Listening to said music is a great gauge on the decline of society. Like the sixties, only more violent and mean. I suppose one could stretch the definition (and I am sure someone will) of music to include war cries, in which case rap and hip-hop would be considered music. Is music innate? I don’t know, but I have been told that lullabies soothe babies. I don’t sing, not even to babies, so I can’t attest to it, but it seems to be widely believed. That would lean in the innate direction. 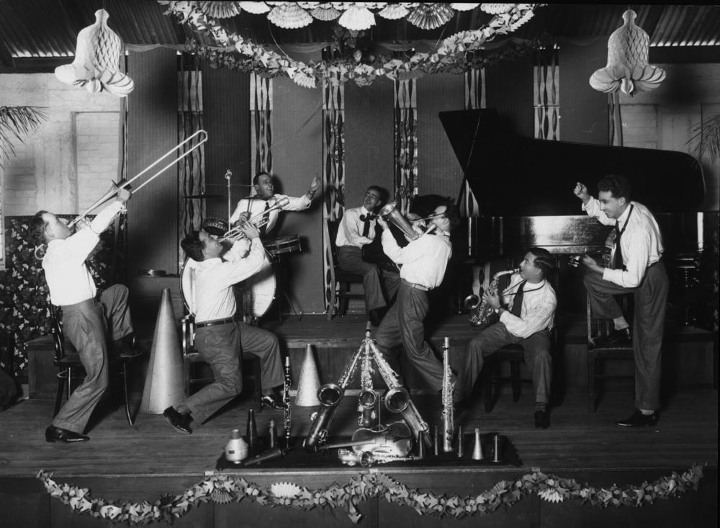 Jazz was not considered music in the thirties. Anne Shaw Faulkner, head of the Music Department of the General Federation of Women’s Clubs. Published in Ladies Home Journal, August 1921, pp. 16-34. While completely agreeing with you that current popular music lacks melody and harmony, you really have your cultural blinders on if you think that “The West” invented polyphony. Just one listen to the dense harmonies and polyrhythms of China mbira music will be evidence enough of a profound musical complexity that is deeply embedded in a traditional culture. My enemies substituted “China” for “Shona”- one of the cultural groups of current Zimbabwe. To say melody is a learned response is to say something very pretentious and faux intellectual. “learned” is all that is required. When was the last time you saw anybody having a melodic response? I hope they tidied up. Melodies are learned, patterns are heard or identified, given often cynical names, and other melody writers then steal, nick, no, adapt just as literary writers do, phrases and sections of notes. Most of what is produced is copied or close mimicry. Like adding the word ‘response’ to make something sound high brow. It’s BS. Original composers and great composers bring something new to the party. Others are hanging onto coattails. The self indulgent jazz ramblings are no better or worse than the same ramblings of heavy metal and other rock groups who descend into their own raptures and believe that everybody must be as transfixed. Well of course there’s always the prohibitive insult of saying that only gifted people can understand the complexity of the ugly cacophony and painful sounds of ‘real jazz’. It’s a bad excuse to indulge ugly noise. Music, just like poetry and visual arts, match the mood and soul of the consumer. Tympani are not melody, even though drums do have different pitches which are often used in solo displays. Rhythm is part of music, drums, far from providing rhythm alone, as with most pop music, have dynamic uses employed better by classical musicians: emphasis, dramatic shock, victorious flourish, quiet background structure and so on . Jazz, Rock and pop music has given them front stage. Melody always contains rhythm but rhythm does not always contain melody. If appreciation of and production of melody were not innate it would never have appeared in the first place. There would be no audience. Of course it has to be created and not everybody has the gift, even fewer than can paint or draw. Performance art seems to be right description for rap. It’s more or less spoken, like poetry, with a cadence derived from percussion. But rap is a very unsophisticated and crude version of poetry. There’s plenty of good music out there. We have an amazing variety to choose from. A lot of very high-skill composers, performers and producers as well. There’s something for everyone, even musicians, like me, who usually have really odd taste. We have amazing tools at our disposal today. Anyone can download MuseScore and learn how to write a whole symphony if they like! If we’d like our kids to expand their musical horizons, let’s not cut music out of the schools like those conservative low-brows like to do. Let’s give the university systems more bandwidth. A handful of companies dominate the music business – the radio, the satellites, TV, the record companies and promoters. Payola has been replaced by monopoly. Break ’em up. And we have to keep the concepts of the open network and network neutrality, despite the sleazy conservative desire to put all our kids media in the hands of the same sleazy monopoly that’s feeding all the crap in the first place. You want to elevate the musical culture in the land? Make sure kids are getting a good, well-rounded, liberal arts education. That alone would help a great deal. That and ignore any suggestion from conservatives. Music and melody is the opposite of single minded, single generation, single idea, single dogma, etc, single crap; the opposite of me is important, me is in control, etc, me demands; the opposite of Attention Deficit Hyperactivity Disorder. JMJ still is confused about what conservatives really espouse. Last time I noticed the music industry was fully in the the progressive camp. Easy to rant when you don’t know what you’re talking about and just sling insults. One wonders at the logic disconnect too: plenty of good music out there, but it’s strangled by evil companies. Maybe it’s Schrodinger’s music, alive and dead at the same time? I lament the decline of classical music, but…. I suspect most Americans are exposed to music at least in a classical style, through their consumption of movies and some TV shows. Movie scores are often, at least to me, excellent symphonic works. So my question is: when I hear music in a minor key, I often experience sadness or related reactions. Is that learned, or is it somehow inherent in the key? My guess is learned, perhaps from TV or movies (I’m too much of a philistine to have had much exposure to Opera or ballet). I am thinking it is learned, though I’m not sure. What I find interesting is that the closed captioning will say “lively music” or “tense music”. How does a deaf person know what that means?